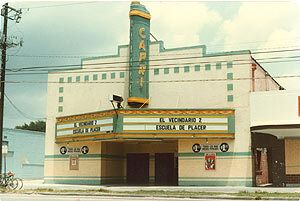 Between 1934 and 1950, over two dozen independent theatres opened in Houston. The first one to open was onlya short jaunt down Main Street to Richmond  the Delman Theatre. 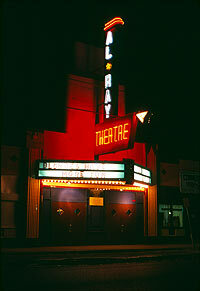 The Delman was a genuine sign of the times that movies would now go to the audience, rather than the other way around. 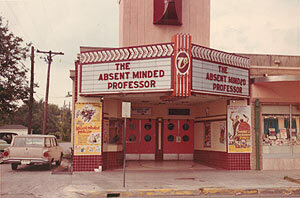 It was also the first Houston theatre to be built specifically for sound pictures. The independent theatre was owned by I.B. Adelman of Dallas, and featured a design by architect W. Scott Dunne, who soon after developed the Interstate Tower Theatre. The march of the independents was on. with the Delman followed in 1937 by the Park Theatre and the Joy, while nearby Pasadena got its Pasadena Theatre. The Rice University district gained its first theatre at this time, the University. The year 1939 is generally considered to be Hollywoods true golden year. Four new theatres opened that year, all during the month of November, making the pre-Christmas season a busy one for moviegoers. Interstates Alabama Theatre, was the first and largest out of the gate, and the only one that was not an independently owned house. This was followed by the Stude Theatre in the Heights, the Navaway, and the River Oaks Theatre. The forties brought about the Queen, Lyons, Lindale (later known as the Al*Ray), State, Sunset, Plaza, Holman, Rainbow, Deluxe, Don Gordon, O.S.T., Avalon/Capri, and the Bellaire, to name a few. 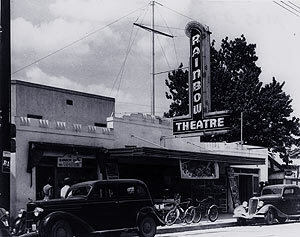 The Rainbow Theatre around 1945. 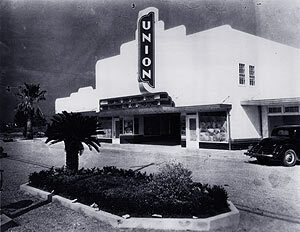 The Union Theatre, at 4001 Humble Road, around the time of its opening in 1938. 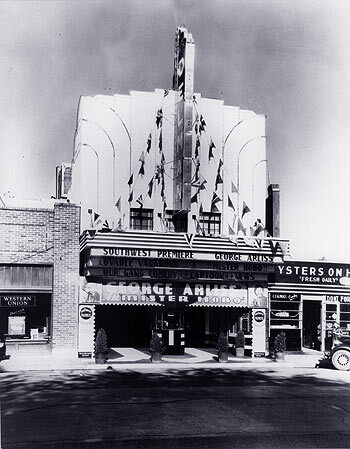 Well before the Greenway, Angelica, or Rice Media Center, the Al*Ray Theatre catered to the appetites of the foreign film connoisseur. 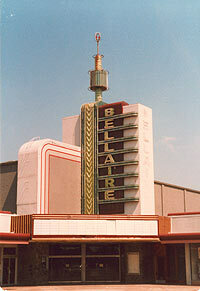 The Bellaire Theatre after its closing, and prior to its rebirth as the Bel Air. the building is now a Whole Foods Market. 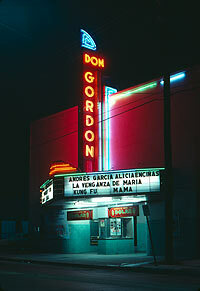 The Don Gordon Theatre, at 4719 Canal, was named after the owner's two sons. The Avalon Theatre in its later incarnation, the Capri. The Venus Theatre at 6515 Lyons. It, along with its sister theatre, the Galena in Galena Park, belonged to Oscar Korns O.K. Neighborhood Theatre circuit.